The I-495 Express Lanes are pushing north to the American Legion Bridge. Four general purpose (GP) lanes and two new Express Lanes will run in each direction of the Capital Beltway starting from the current terminus near the Dulles Access Road and ending at the American Legion Bridge. With no public funding by the Commonwealth, the Express Lanes network will be extended to the Maryland border, helping address one of the worst bottlenecks in the region and reduce cut-through traffic in local McLean neighborhoods. The express lanes have tolls that range from 20 cents per mile to $1.25 per mile during rush hour with no official cap. Cars with three or more people do not have to pay the toll. The announcement follows Maryland’s $9 billion investment announced in 2017 that included toll lanes on the northern side of the bridge. The area of McLean on the Virginia side of the American Legion Bridge has long been an infamous congestion hotspot. An average of 239,000 people use the bridge every workday, and Dranesville District Supervisor John Foust warned that the bridge is “grossly over capacity” and in dire need of expansion. 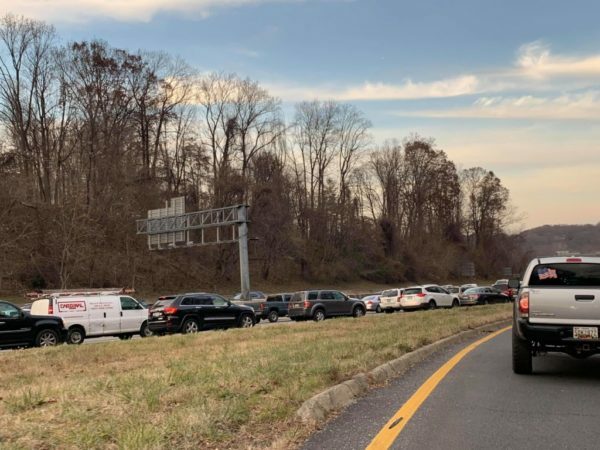 As part of the deal, Transurban agreed to construct a new southbound lane on I-95 near the Occoquan Bridge in the Woodbridge area, another infamous bottleneck for regional traffic.